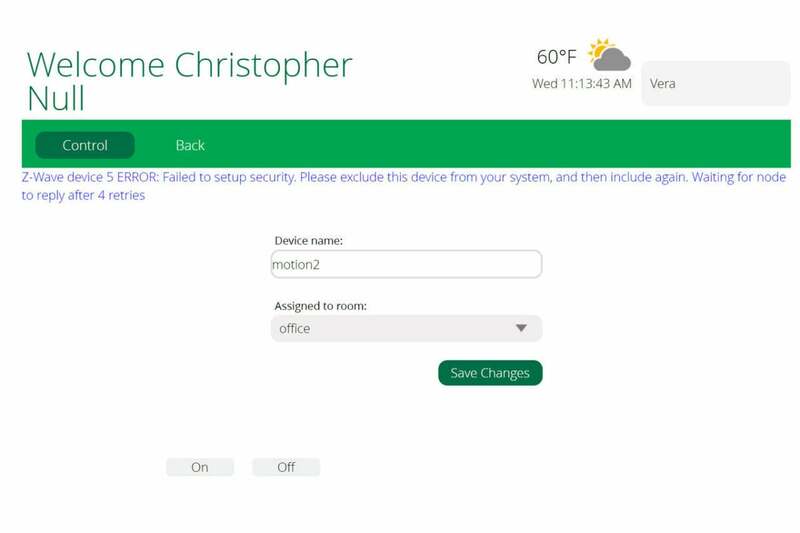 We can’t recommend this smart home hub to users with any level of experience. You don’t need to be an expert to set up any of the DIY smart home controllers that are enjoying the most success in the marketplace: Samsung SmartThings, Wink, and to a lesser degree, Iris by Lowe’s. 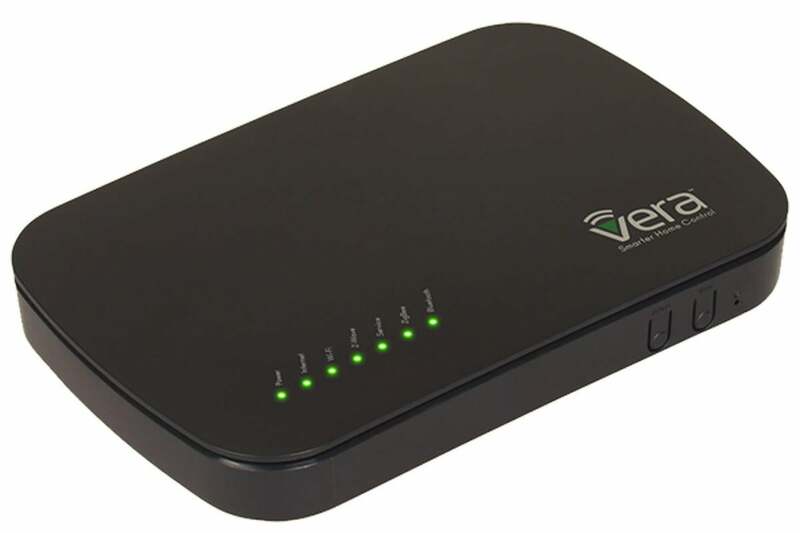 Vera Control, Ltd. seems to be targeting the hardest of the hard-core enthusiast, boasting that its VeraPlus Advanced Home Controller is certified to work with more than 1700 smart devices. But I had trouble getting two of the three products they sent along with the VeraPlus to work at all. Installing the VeraPlus itself wasn’t a cakewalk either. As with many smart home hubs, the VeraPlus connects to your router via an ethernet cable. Once you’ve done that, you’re walked through a setup routine—either via a web interface or a downloadable app. I performed the initial setup over the web, but used both approaches to set up sensors and smart devices. The trouble started on the first screen, as the setup routine was unable to auto-discover my new VeraPlus unit. Instructions told me to type in serial numbers and MAC addresses printed on the bottom of the device, after which I was able to proceed. Again, setup was tedious and a little arcane (this is the first time I can recall having to type out “California” in a setup field), with multiple validation emails/text messages and the ever-popular firmware update—in this case, two of them. That process oddly erased about half of my account information, placing me in Alabama but also the time zone for American Samoa. If you don't understand what it means to "exclude" and "include again" a Z-Wave node, the VeraPlus isn't the right smart-home hub for you (and it might not be even if you do). I put it all behind me, because now it was time to set up some devices to work with the VeraPlus. The hub supports all the important smart-home protocols—802.11ac Wi-Fi, Z-Wave Plus, ZigBee, Bluetooth LE, and even Insteon—and with a universe of 1700 certified devices, you shouldn’t have trouble finding popular brands, right? Yeah, not so much. Honeywell’s Lyric and all Nest thermostats are supported, but First Alert is the only certified smoke/carbon-monoxide detector you’re likely to recognize. You can connect a Philips Hue bridge for lighting control, but many other popular smart bulbs—LIFX, Cree, and TP-Link—aren’t listed as being certified. Prefer in-wall controls? GoControl is well represented, but not Leviton or even GE Jasco (only that company’s plug-in modules are listed). There’s a Z-Wave doorbell—and dozens of sensors—from Aeotec, but the Ring Video Doorbell isn’t listed. You’ll see lots of Samsung smart appliances, but no other brand is represented. Vera sent three products for us to test with the VeraPlus. First was a three-in-one sensor from Fibaro. It took five tries—and more than 30 minutes—to get the device connected to the VeraPlus. Even then it remained decidedly buggy, with temperature and light sensors working well, but the motion sensor working only erratically. (In fairness, perhaps this is the fault of Fibaro, not Vera.) I had fewer but still significant issues getting an Aeotec Smart Switch to pair – until I Googled how to perform a factory reset of the switch, which hesitantly got things working again. The good news: a LinearLinc BulbZ smart light (not included on Vera’s website, incidentally, as being one of the compatible smart bulbs) paired and worked on the first try. One out of three ain’t bad, eh? Regardless of what you’re doing with it, Vera—both the app and the web management tool—is agonizingly slow, and its frequent error messages are so obtuse as to be wholly unhelpful. What does it mean, for example, to “exclude” a problematic product from the network? Uninstall it? Reboot? Unpair and try again? Navigating the busy dashboard is simple enough, but key things such as setting up notifications are less intuitive than they should be, and a variety of drill-down menus rapidly take you into bewildering screens full of dense technical parameters that an average user won’t have a clue what to do with. Finally, a $150 price tag renders the VeraPlus 50-percent more expensive than either Wink or Samsung SmartThings, two rock-solid hubs that each cost $99, set up simply, and do what they promise. These products might have fewer certified products in their ecosystems, limiting how elaborate your smart home can ultimately be, but only the most passionate—and patient—smart-home enthusiasts should venture into the Vera Plus Home Controller’s arcane ways.